She says she's seen more people on sidewalks since plowing began. BRANDON: Live here on James Street and everything is looking pretty clear right now. Sidewaks are good; nice lady walking across the street; a little couple walking a dog over on the other side. Just a couple scatterings of snow, but everything seems pretty good otherwise. There was actually two inches above average in February in Syracuse last month. Earlier today, I spoke with Cat Orr, the owner of PB & J’s lunch box here on James Street. She noticed improvement along the sidewalks and that her business isn’t being affected, but that it’s addressing a more important issue. CAT ORR: I don’t think it’s a thing that’s going to drive more business to people, but I think the problem was that sidewalks weren’t shoveled and they need to be just for safety so that people aren’t walking in the streets. BRANDON: Now, Orr did add her business’ signage may play a role in why she isn’t getting any business impact, but added that the Eastwood neighborhood—a couple of miles down the road here on James Street—might see a little bit of an impact on business from this new snowplowing measure. Brandon Ross, NCC News. SYRACUSE, N.Y. (NCC News) — Where does a person walk if he or she is strolling down a city block and the sidewalk is covered in snow? In Syracuse, the person would likely walk on the pavement, according to Cat Orr, owner of PB & J’s Lunch Box on James Street, who says she’s seen people do it regularly. However, a month after city contractors began to plow city sidewalks, Orr noticed a visible difference. “I’ve noticed more people walking down the sidewalks,” said Orr. Back in January, the Syracuse Common Council passed a measure to start plowing more than 40 miles of city sidewalks. 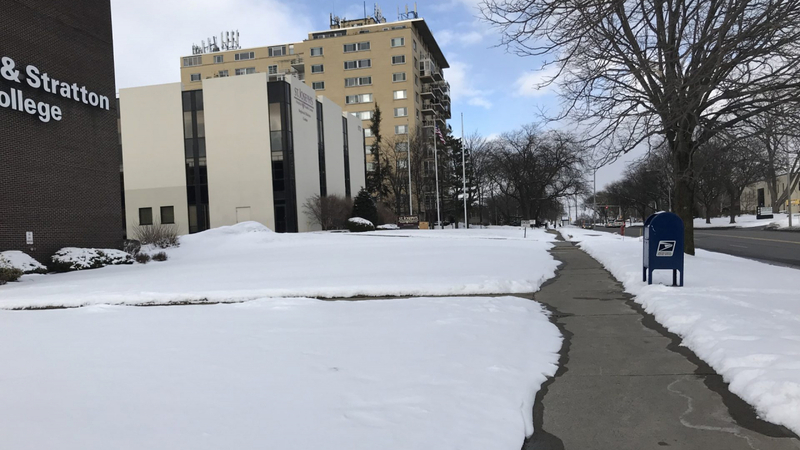 The measure, which hired JSK Outdoor Services to do the plowing on a contract basis, marked one of Mayor Ben Walsh’s major priorities coming to fruition. Orr noted that some businesses might be hoping to get more customers from the cleared out sidewalks. However, she said that safety was the more pressing need the city needed to address. Orr said improved business would be an added bonus, but that she personally hasn’t seen it. She added PB & J Lunch Box’s signage might be part of the reason that she hasn’t seen an impact. However, Orr said that the plowing might make a difference to businesses in the Eastwood neighborhood, which is about two miles north on James Street from her restaurant. She mentioned that even though she’s noticed more sidewalk traffic outside her business, there is an impact in Eastwood. Brandon Ross is a sophomore Broadcast and Digital Journalism and History major at Syracuse University. 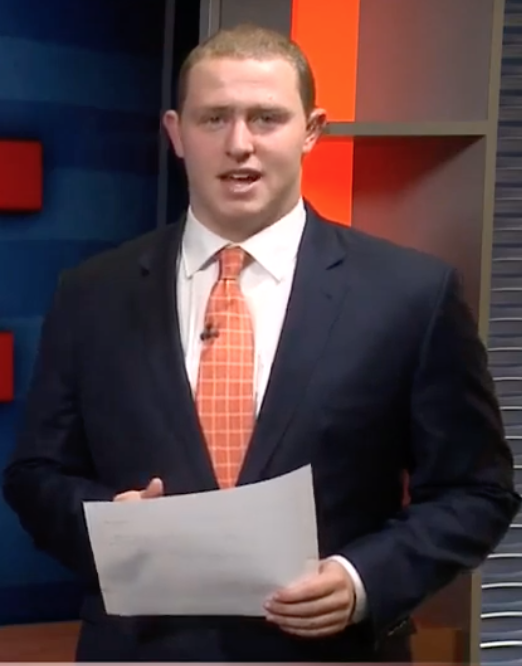 Brandon works at Syracuse's student-run television station, Citrus TV, as well as at radio stations WJPZ and WAER. This summer, Brandon will be the voice of the Burlington Royals, the rookie-ball affiliate of Major League Baseball's Kansas City Royals.